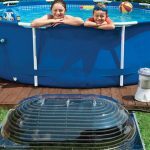 Home » Solar for outdoors » How to Keep Troubleshooting Away from Your Solar Outdoor Lighting? Installing solar lights for your home isn’t difficult, but you need to take care of them in order to extend their lifespan. Some things are obvious (no solar panel is strong enough to take fall from up high), but others aren’t that easy to figure out on your own, especially if you haven’t used solar panels so far. 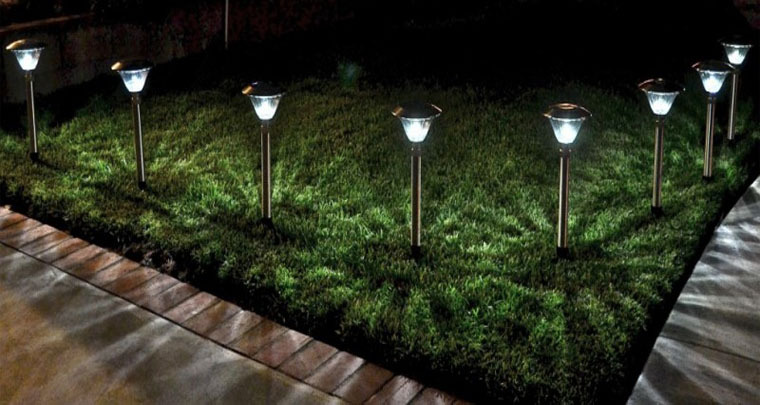 Here are some tips to follow after you installed the solar lights down your pathway (let’s say) and scroll down for a fast glance. If you’re having a party and you want the pathways illuminated before night has come, a useful trick to do is to cover the solar panel. This way, the lights are going to “think” it’s night time already and, therefore, are going to light up. Solar lights are turned off during the day and that’s how they work in the end: charging throughout the day, so that they give light during the night. Even if dusk has come, sometimes there’s another source of light that fools the lights into thinking it’s still daylight. So you need to play a bit with the lights and cover the solar panel so that the lights turn on. Where there is sun light, there is going to be, sooner or later, also shadow and this may happen a couple of days. In order to make sure your solar panels are getting enough solar light, check their position every now and then so that they’re not shaded. Even if you installed your solar panels in the height of summers when the shadows are short, the risk for shade is still there as the sun gets lower in the sky as fall is coming. Keep in mind that there are solar lights that come with regular rechargeable batteries. You may get solar panels with NiMh or Li-Io batteries that are rechargeable. Even though these batteries charge by day and discharge by night, you still need to change them at some time as the do lose the ability to charge after long time use. When you notice that the lights don’t run as much as before, even in the middle of a sunny summer day, it’s time to change the batteries. This shouldn’t happen earlier than 1-2 years, but this isn’t mandatory as it depends a lot on the quality of your batteries in the first place. There are some cases when batteries may run for more than 4 years before changing, but this is quite an exception, truth be told. During the winter time, we don’t have much sun and its light is less powerful than during the summer. Hopefully enough, you got yourself a solar light that comes with an adjustable panel angle that is also easy to set. You do want to get the panel up to 45-degree angle during winter so that it gets as much sun light as it can. 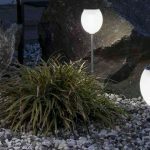 Many solar lights are well made and have a decent waterproof grade and you should pay attention to it when getting your solar lights, anyway. The higher the grade, the better the chances for your solar lights to handle more than a light rain in the springtime. Keep the light in a hot water cupboard to dry out the light. It should dry in a couple of days or so. Put the lights back together afterwards and double check the batteries. They may need one or two days for fully charging. Check with the manufacturer. In some cases, as long as the batteries are installed right and you have warranty for water ingress, the manufacturer may give send you a replacement. We can never talk about the importance of where you’re placing the solar panel as it works as a satellite dish and works right as long as it’s pointing in the right direction. The best position for any solar panel is south facing from dawn until dusk. This doesn’t mean that your solar panel doesn’t work if it’s not facing south, but only that isn’t as its best performance if otherwise. The basic and fun question: is it on? We’ve all been there: checking and trying all the complicated solution when in fact the lights weren’t turn on to begin with. Not all solar panels have an on/off switch, but this is the first thing to check if your solar panels feature a turn on/off button and you have some problems. Not sure how to check if the switch is on or off? Simply cover the panel to imitate night time and see if the lights turn on or not. This is also a very easy thing to check when you’re having some problems with your solar panels. You need to be sure the batteries aren’t loose as they may not touch the terminal contacts anymore. This means they’re not charging either, losing the ability to give you light at night. If this is your troubleshooting, give the battery a day or two until it fully charges, though. Did you check the plug too? It may sound hilarious to some, but this isn’t an impossible troubleshoot at all. Some remote solar panels are separate from the lamp so you need to check if the solar panel cable is plugged in. the waterproof connectors (if there are any) should be also tightened. There are many solar security lights out there that come with adjustable dials to fine tune motion detection sensitivity so that the lights don’t turn on because of some animals. So you need to be sure that you set the sensors according to your needs and you may want to start with maximum sensitivity and get back from there so the light is only activated when you actually need. This isn’t a pleasant news, but it’s not impossible that some hungry squirrels to bring some damage to your solar lights. You may need some electrical tape to fix the damage, but it’s really bad you may give a call to the manufacturer and see what are your solutions. Sometimes your solar lights simply don’t work as it’s too dusty or has some dirt building up on panel. Wipe carefully with a damp cloth every now and then so that everything is nice and clean for a fast charging. This brings us back to a general rule when it comes to where you’re installing the solar lights. Double and triple glazed windows are everywhere and they may have a bad influence on the sun light as it’s not going to reach efficiently to your solar panels. So try to install the panel away from any glass, in a nice sunny spot for fast and good charging. Remove any obstruction between the sun and solar panel so that you may get more energy. If you’re having some problems with your solar lights, check the most obvious and simple troubleshooting first, even it may give you a good laughter. If you’re tempted into solving on your own, try to get in touch with the manufacturer in the first place and see its opinion into you making some easy fixes.